December. It's lurking. Obviously, it brings Christmas and the fun and stress of the holidays, but it also brings the seriously cold weather. Blerg. I'm Canadian, have always lived in Canada, and save for a handful of years living in Toronto, have lived in a snow-belt. And I still don't like winter. I know I'm not alone on my dislike of the season, but I do like that it means plenty of opportunities for new skincare. 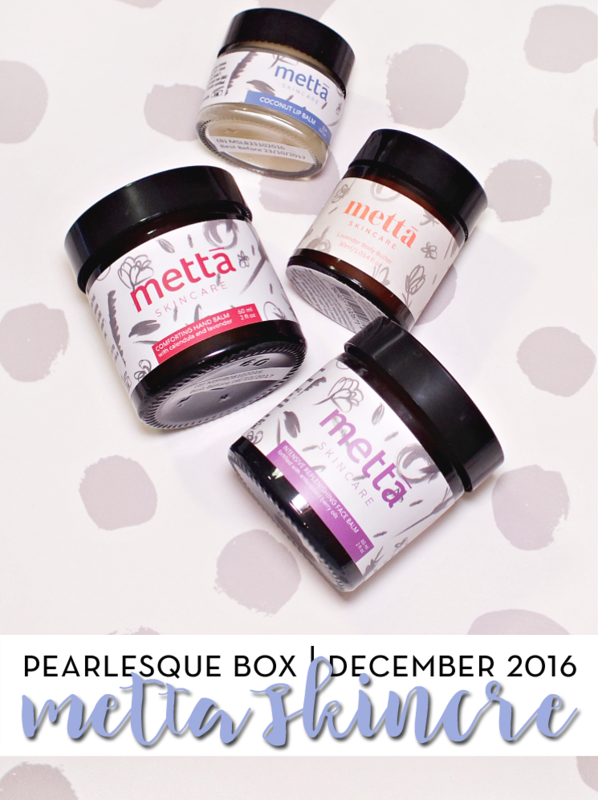 Like the Melbourne brand Metta Skincare, which you can so handily find in the December Pearlesque Box. Created in 2008, by Anca Grigoras, Metta Skincare aims to help people make healthy decisions about their skincare routine. Anca developed the range following extensive research into safe ingredients, experimenting with oils traditionally used for nourishing the skin and studying under the guidance of world leading natural and holistic skincare formulators. 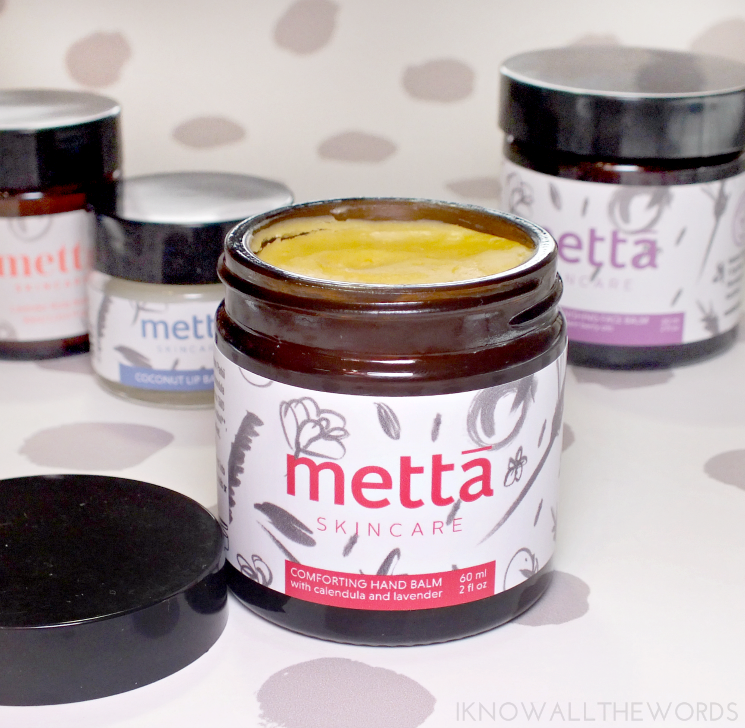 As none of Metta's products contain water, you're getting a more concentrated product chock full of just the good stuff. The Comforting Hand Balm is packed with an array of oils and extracts to deeply hydrate dry skin. The blend includes shea butter, calendula extract, and olive fruit oil to really banish dryness. While it's name says hands (including nails and cuticles), it's actually a really great all purpose product that can be used on dry feel, knees, and elbows. The balm melts into an oil on skin and is instantly soothing on really dry areas. I have one elbow that gets especially dry, and I already love using this to keep it hydrated. My skin is just coming out of a stage of unprecedented awfulness, so I haven't used the Intensive Replenishing Balm just yet (I'm sticking to my recovery routine for the time being) but you can bet the balm will be next up once I'm fully normalized. The balm features a blend of shea butter, cold pressed oils, and botanical ingredients (think raspberry, pomegranate, and seabuckthorn) to hydrate, restore radiance, and diminish the visible signs of aging. Best for dry, mature or environmentally stressed skin, the balm warms in hands to transform into a serum-like consistency. I collect lip balms all year round, but the winter season is always a time to have your hoard in order. Beating the cold inced chap is made easy with the Coconut Lip Balm that blends avocado oil, sunflower seed oil, and coconut oil and extract to protect from cold, sun, and wind. 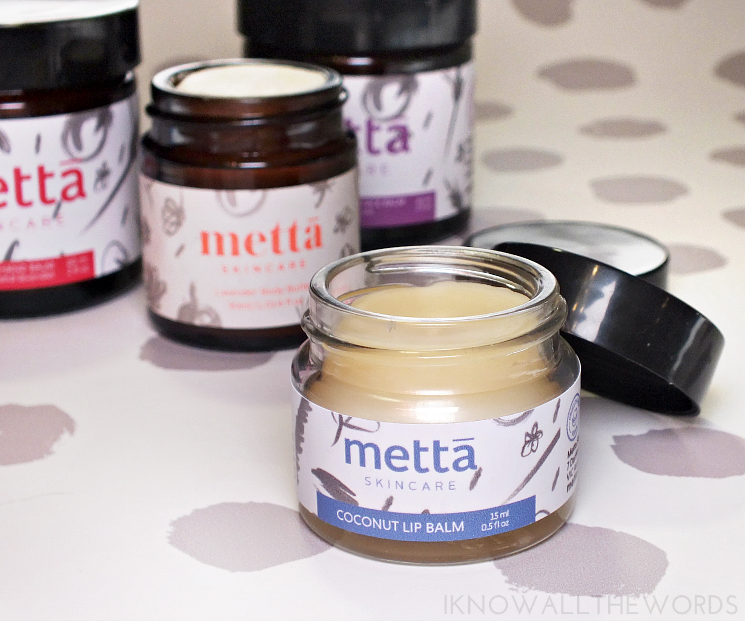 This is a great balm, with a light coconut scent, but it's made even better as you can also use it to revive cuticles. Pearlesque Box is all about full size products. but every now and again they will include a travel size item as an added extra. The Lavender Body Butter is just that. 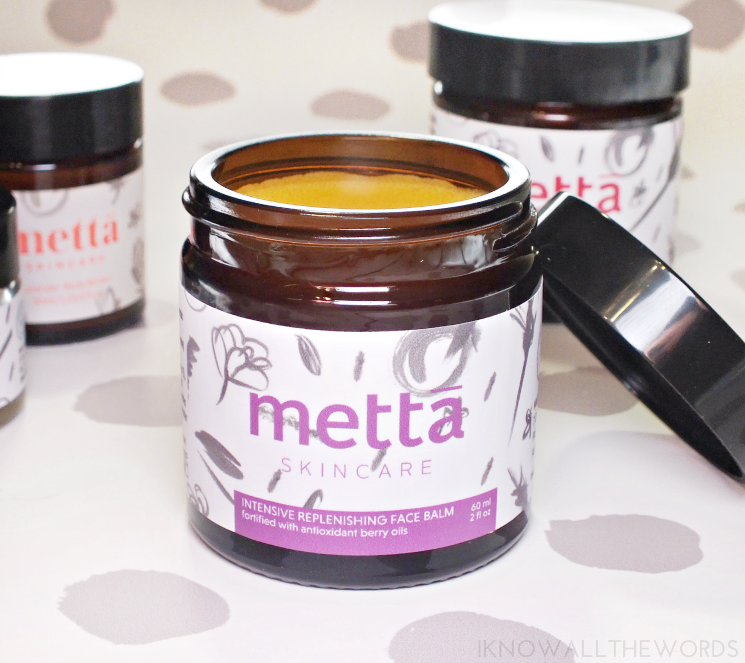 It's a rich, concentrated balm that features shea butter (Metata is big on the shea), grapeseed oil, coca seed butter, and jojoba seed oil with a natural lavender scent to pamper skin. it not only hydrates, but it's also formulated to soothe minor skin irritations and aid in healing. It works to tighten tone and leave skin feeling softer and younger. 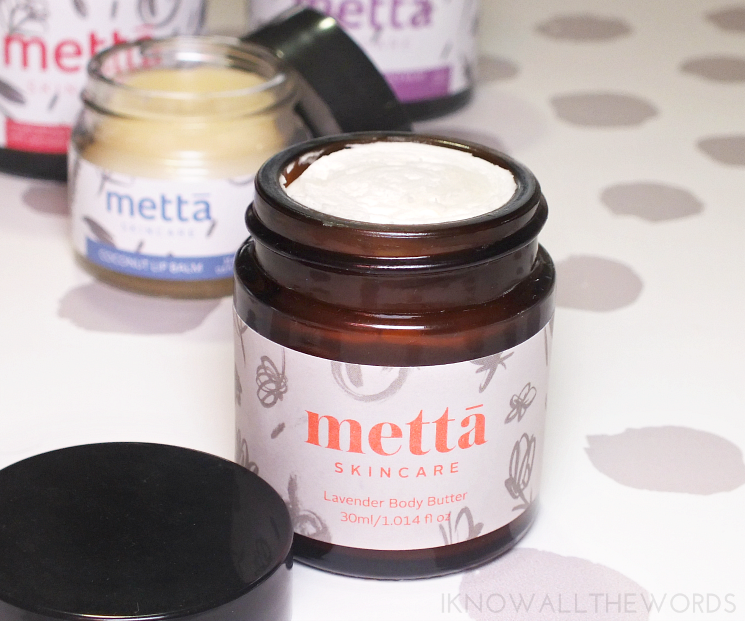 Overall, I'm really excited about Metta Skincare! I love that Pearlesque Box aids in discovering something you may have otherwise never found. A monthly subscription to Pearlesque Box will set you back $39.95 (free shipping within the USA, international shipping is an additional fee.) You're pretty much guaranteed to get much more for your money- this month's box has a value of $90 USD. To receive this month's box, subscribe here by December 5th and use code BAILEY15 to save 15% on your first order. Pearlesque Box is now offering 3.6, and 12 month options along with electronic gift cards that can be used in their store or on subscription purchases. Annd, they have rolled out a special edition holiday box (which I mentioned last month.) The one time purchase is perfect for gifting the beauty lover on your list and contains subscriber's faves from previous Pearlesque Boxes. For $75 USD you receive $106 USD worth of product. Check it out here. What do you think? Do you or have you subscribed to Pearlesque Box? 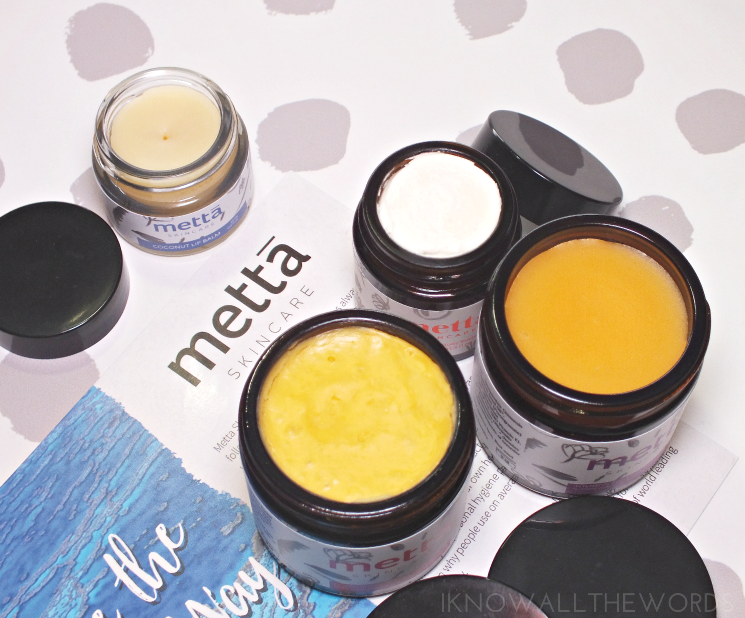 Tried anything from Metta Skincare?